Due to bad weather we’ve had two weeks with no game, and when I saw one of the goal mouths on the St Joseph’s pitch I though this is going to be three weeks with no game. But fair play to the opposition in trying to dry the goal mouth up and it held up really well. 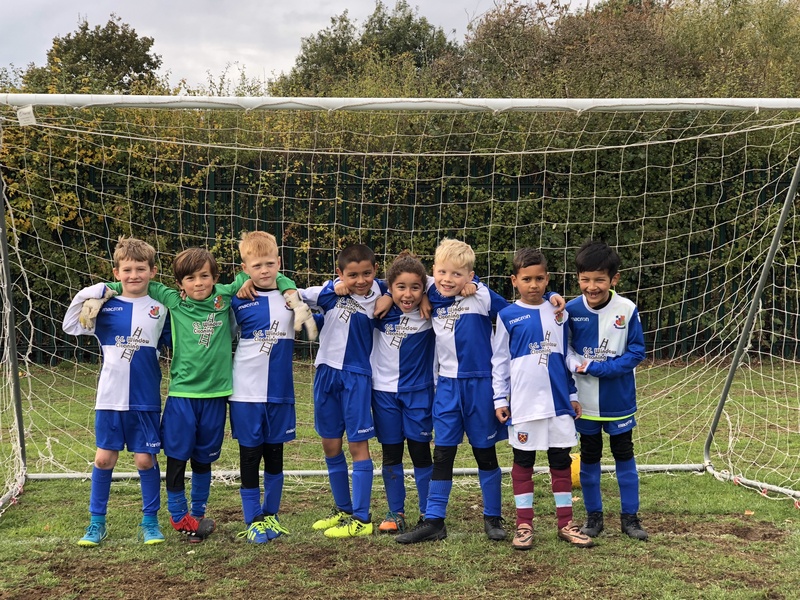 We went 1 goal down in the first couple of minutes but the boys kept their cool and kept playing our nice pass and move football which paid off brilliantly with a pass from Advik to Dexter who threaded the ball beautifly to Dillan to drive home to the back of the net. The next quarter saw Aitor hit a wonderfly struck shot to make it 2-1, we then switched off at the back and St Joes capitised to make it 2-2. The third quarter was amazing end to end stuff with both teams playing excellent football. Aitor struck again with a half way line screamer in the fourth quarter, quickly followed by a tremendous run down the left by Advik who slotted away a very well deserved goal. St Joes came back a minute from time with a well worked pass and move goal catching the boys out at the back. I’m really happy with the effort and attitude of the boys today, Dillan made an excellent captain, and it was very hard for me to choose between Advik and Archie for Man of the Match, but I had to award it to Archie for being an absolute rock at the back and creating some really good attempts on goal from his tackling and passing. Let’s keep this up and onward to our two games next week.